As a result of the current financial crisis, consumers are more concerned about their personal finances than ever before. Household confidence in job security and future employment prospects, income stability, and the ability to preserve and build assets is plummeting; meanwhile, high fuel and food prices and tightening credit conditions are placing more pressure on households to maximize their financial decisions. Today's public narrative portrays individuals and families struggling with mounting financial stress due to the declining values of their retirement savings, high rates of indebtedness, diminished incomes, and negligible savings. While individuals and businesses bear the majority of the economic strain, children and youth are uniquely impacted by their interactions with household finances. Such moments of financial trouble are teachable opportunities for children and youth to learn about personal finance, and to improve their own money management skills. However, comprehensive strategies for educating children and youth about personal finance so they can successfully navigate a complex financial marketplace have not yet emerged. According to one financial expert, the current economic crisis is a "complicated crime with a huge list of conspirators." While no one entity is to blame for the financial turmoil affecting both U.S. and world markets, a lack of governmental oversight and supervision led to the crisis, said Edward J. Kane, the James F. Cleary Chair in Finance "Ethical Failures in Regulating and Supervising the Pursuit of Safety-Net Subsidies" to audience members during a recent presentation at the Indiana State University College of Business. Kane focused his talk on how the current crisis came about, pointing to a failure on the part of regulators, supervisors, managers, and investors to perform due diligence. SHENYANG, China -- As Kelsey Powell stood under the towering, illuminated statue of Mao Zedong, she felt a little overwhelmed. It started when one young girl approached Powell and two other students asking if she could practice her English. "Before we knew it, we were completely surrounded by little kids and their parents were pushing them saying, 'It's OK, go practice, go practice,'" said the Effingham, Ill. native. 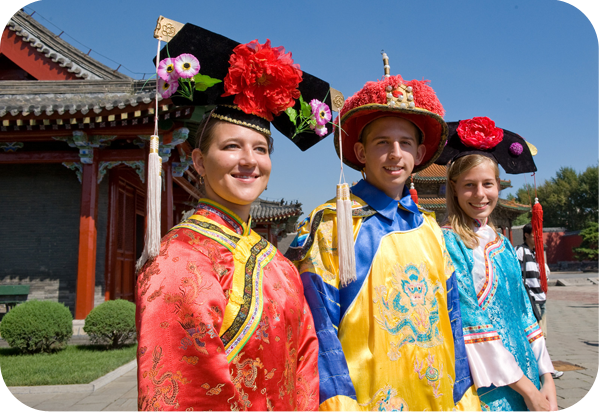 Powell and two other students from Indiana State University had unknowingly wandered into the English corner of Zhongshan Park and found themselves surrounded by a group of more than 30 Chinese wanting to practice their or their children's English. Kelsey Powell, sophomore marketing major; Andrew Schroeder, sophomore accounting major and Allison Myers, junior finance major. The three students represented ISU's Networks Financial Institute and College of Business during a conference on Sino-United States economic relations at Liaoning University, as well as at Liaoning University's 60th anniversary celebration. Networks seeks to develop leadership potential of students in the financial services industry and is funded by a grant from the Lilly Endowment. Networks Financial Institute at Indiana State University and the Federal Reserve Bank of Chicago will present "Connecting Financial Education to Consumers," to address how organizations can connect consumers with financial literacy resources. Networks Financial Institute at Indiana State University and the Federal Reserve Bank of Chicago will present "Connecting Financial Education to Consumers," on Oct. 7 from 8 a.m. to 1:30 p.m., at the Federal Reserve Bank of Chicago. This groundbreaking symposium will address how the financial services industry, academia and grassroots community organizations can connect consumers with financial literacy resources. Keynote speakers include President and Director of Advocacy of the Sargent Shriver National Center on Poverty Law John Bouman, and Terry Savage, Chicago-Sun-Times personal finance columnist and best-selling author. Indiana State University's College of Business welcomes its sixth class of Networks Scholars. Recipients of this prestigious award, presented in connection with Networks Financial Institute, will receive a four-year scholarship that covers tuition and fees and includes a professional development account and a new laptop computer. Networks Scholars also enjoy the opportunity to participate in a paid internship, potential for international experience and a faculty mentor relationship. Networks Financial Institute at Indiana State University has launched a new Web site that will focus on issues that are driving insurance regulation and reform efforts. The institute, a non-profit organization founded in 2003, plans for the new Web site to serve as clearinghouse for resources on regulatory modernization and reform, including scholarly abstracts, white papers, research articles, and journal publications, all focusing on the current state of the insurance industry. Topics featured on the new site include: dual federal/state insurance regulation and its impact on market competition; optional federal insurance charters; regulating the market for terrorism insurance, making state regulation more efficient and effective; and the U.S. Department of the Treasury’s blueprint for a modernized regulatory structure. Comprehensive strategies for educating children and youth so they can become effective managers of money and successful navigators of a complex financial marketplace have not yet emerged from the dialogue and debate surrounding financial education. A rich and growing body of research about adult financial education exists, but youth financial education research has been slower in developing. While some consensus has emerged regarding best practices for adult financial education, these strategies and approaches cannot simply be reengineered down to more age-appropriate versions and imposed on a K-12 educational system. This paper, through a review of the literature, explores the current state of youth financial education and policy, including definitions and measures of effectiveness, insofar as they exist, for youth financial education. This paper delineates a range of approaches to the delivery and assessment of youth financial education, reports on impact data and best practices, and highlights some controversies. The paper concludes with a discussion of the gaps in knowledge and suggestions for further research in the field of youth financial education. The start of the 2008 hurricane season, the role of rising health care costs in the 2008 election and the current crisis in the financial markets are just a few of the issues impacting the insurance regulatory landscape. In March the U.S. Department of Treasury brought the issue of insurance regulation to the forefront through its "Blueprint" to modernize the U.S. financial services industry. While some issues, such as Treasury's embrace of an Optional Federal Charter (OFC) are relatively new, other issues have been smoldering for decades. Networks Financial Institute at Indiana State University, a national leader in addressing both ongoing and emerging issues impacting the insurance sector, announces the launch of an online resource that addresses the myriad issues driving insurance regulation and reform. The site located at www.networksfinancialinstitute.org provides a comprehensive clearinghouse for resources relevant to insurance regulatory modernization, including more than 85 resources published by industry thought leaders representing government, trade associations, industry leaders, media and academia. The site offers an online bibliography of scholarly abstracts, research articles, journal publications, commentaries and proposals regarding the state of the insurance industry. As such, it is not a static document. Political, industry and academic leaders are invited to make suggestions for new sources and contribute thoughts to existing content. Learn more about games, activities, Web sites and other resources that you can use to teach financial literacy skills to children and youth during this free audio conference and webinar. David Godsted - Networks Financial Institute at Indiana State University. It's groundbreaking and going to take awhile to digest - let alone enact. That's Dr. Jack Tatom's reaction to the proposal to restructure financial services regulation in America. Tatom is the director of research at the Networks Financial Institute at Indiana State University. He says the main goal of the 200-plus page proposal is the address some of the immediate concerns that have led to the credit crisis while streamlining regulation to be more user friendly. Tatom says agencies like the Financial Institute have been studying a restructuring plan for about five years that includes many of the same ideas put forth by the treasury secretary. While the concept of a restructuring plan has bipartisan support, Tatom says the debate on exactly how to execute the plan will linger well into the next administration. After receiving a $100 paycheck, Luke Metzger embarked upon the culmination of six weeks of finance lessons - the Money Bus. "I think it's really fun because I really like math and I like money. When I handle money, I like to know that I can control myself and I don't just let my parents do it," said the DeVaney Elementary School fifth-grader about the financial lessons. That was part of the plan that combined Indiana State University's Student Mathematical After-School Thinking program (SMART program) at DeVaney with the Networks Financial Institute Kids Count on the Money Bus through the efforts of several people including Deborah Flurkey, ISU liaison for Money Bus/SMART program; Kathy Spelman, DeVaney school liaison for Money Bus/SMART and Paul Utterback, DeVaney school liaison for Money Bus. Saying there has been "precious little discussion" of the reasons behind the subprime mortgage crisis, a former investment banker who is now a research analyst blames federal policies and a change in accounting practices. 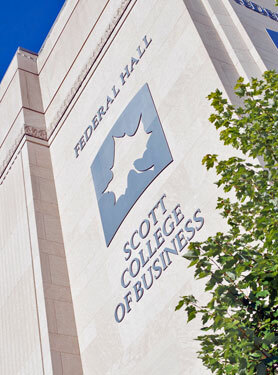 Speaking at Indiana State University's College of Business Wednesday (March 19), Christopher Whalen said the crisis has resulted in the liquidation of $3 trillion in assets and suggested ongoing interest rate cuts by the Federal Reserve will not solve the problem. Noting that housing is a lagging economic indicator, Whalen, co-founder and senior vice president of Institutional Risk Analytics, said "the bottom in the U.S. housing market probably lies in 2009. No amount of Fed interest rate ease can change the fact that reviving the housing market means affordability must be restored to home valuations; that is, prices must fall substantially in many markets." The bottom in the market likely will not be reached until mid 2009, Whalen suggested, predicting additional consolidation this year and next in the mortgage banking industry and the liquidation of hedge funds. Regulatory, environmental and political implications addressed amidst a changing financial landscape. Turmoil in the bond markets, continuing fallout from the home-foreclosure crisis, and uncertainty regarding the Democratic Party's 2008 presidential nominee set the stage for a vigorous dialogue during the 5th annual Insurance Reform Summit presented by Networks Financial Institute at Indiana State University on Wednesday, March 5. Held at the Ronald Reagan Trade Center in Washington, D.C., the Summit convened members of Congress, the insurance community and academia to discuss pivotal issues impacting the industry. The agenda included an update on ongoing industry issues, most notably the role of a federal regulator, and the safety and solvency of the industry. However, the agenda also brought forth discussion on emerging issues that will impact the industry's future, including climate change and the 2008 presidential election. Thirteen Indiana State University business students say they are happy to be home after spending a semester studying abroad thanks to the Networks Professional Development Program but say they are also proud of the knowledge gained from their international experience. Mark Elliott, a sophomore accounting major from Terre Haute was among several students who studied in Australia. He said his most surprising lesson was in the economy down under. "Common things we buy here in the U.S. are much higher (priced) because their tax rate is almost double ours," he said. Elliott explained that he had to constantly budget his money while studying abroad until he had gotten used to the pricing. Where do Presidential Candidates Stand in Terms of Policies for Financial Literacy? In recent days, the state of the economy has surpassed the war in the Iraq as the number-one concern of American voters. Networks Financial Institute at Indiana State University, in collaboration with Dartmouth College professor Annamaria Lusardi, is writing to ask how you, as President, would take steps to help more Americans make sound financial decisions. The need to improve our citizens' financial literacy has gained recognition as Americans save less, spend the majority of their disposable income, and incur rising levels of debt. Data at both the national and state levels indicate that consumer financial knowledge is at an all-time low, which suggests our nation is now facing a financial literacy crisis.